Welcome back for day 9 of the Lovely Advent Calendar! Christmas season is such a fun and magical time. I thought that you wouldn’t mind having an extra, digital advent calendar to discover a new, surprising little gift every day. So here I am! Everyday until Christmas Eve, I’ll share with you a free printable on this blog. And here’s today free printable! Keep coming back every day to discover new daily free printables! 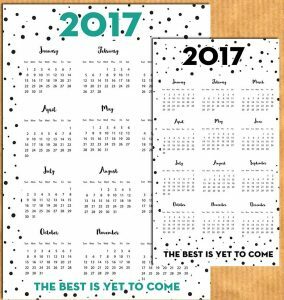 2017 is coming super fast and you’re probably setting up your planners for the New Year. 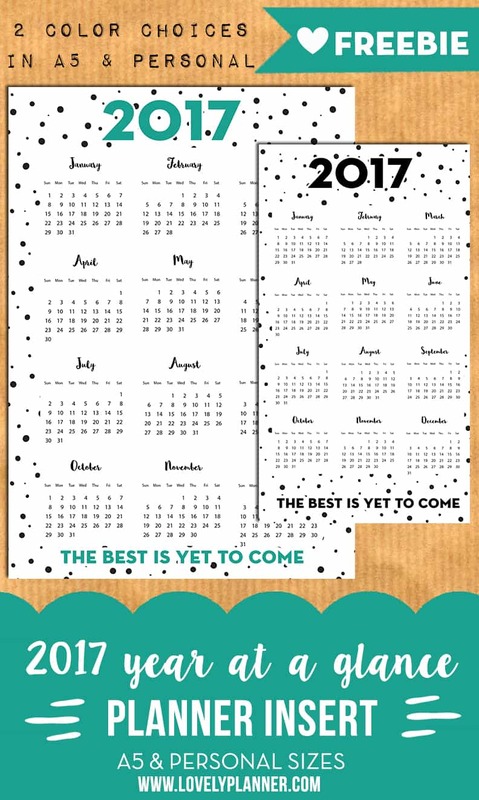 If so, maybe you’ll like to add this 2017 year at a glance insert in your planner! I created it in 2 different accent colors (mint & black) and 2 sizes : for A5 and Personal size planners. You can download this PDF to print directly on Personal or A5 paper, or to print on US letter size paper. Don’t forget to check the other free planner printables I’ve shared on the blog so far! 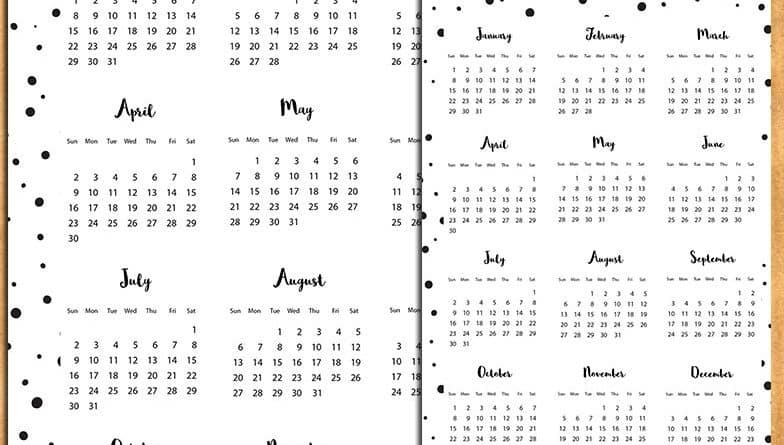 Important note: All the free printables I share on Lovely Planner are only meant for personal use only and can at no point be used for commercial purposes, modified or claimed as your own.